Hey ya'll. My club puts on a monthly meet in the surrounding Daytona beach area. Here's some pics of the last meet from saturday.. 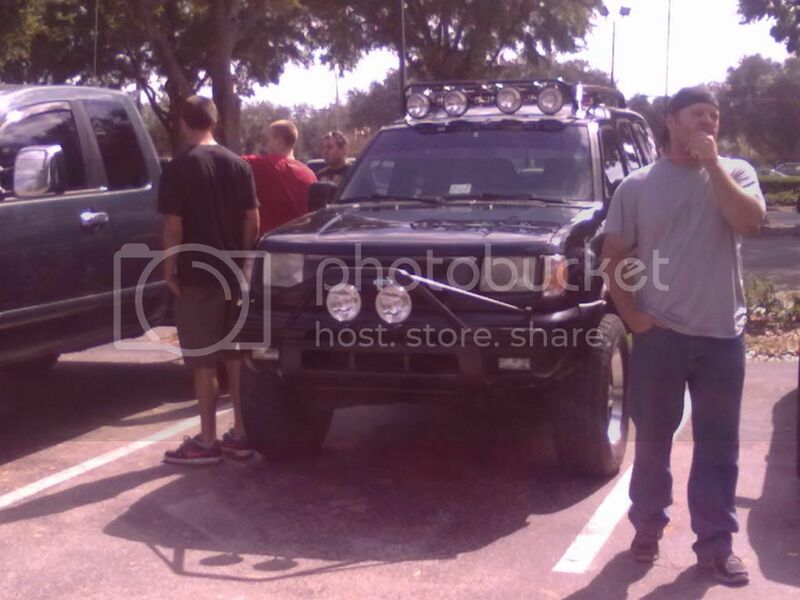 In daytona beach getting ready to convoy. At the Winghouse in Orlando. Had more pics but they didnt turn out good. Let me know if ya'll want to head out and hang with us. Nice trucks! Post the info next time you guys have a meet and I'll try to make it out with my Xterra. Will do, it would be nice to also have some 370's at the meets as well. Sweet i'll let them know. We'll try and get some folk out to it. The next meet is Nov 21st. 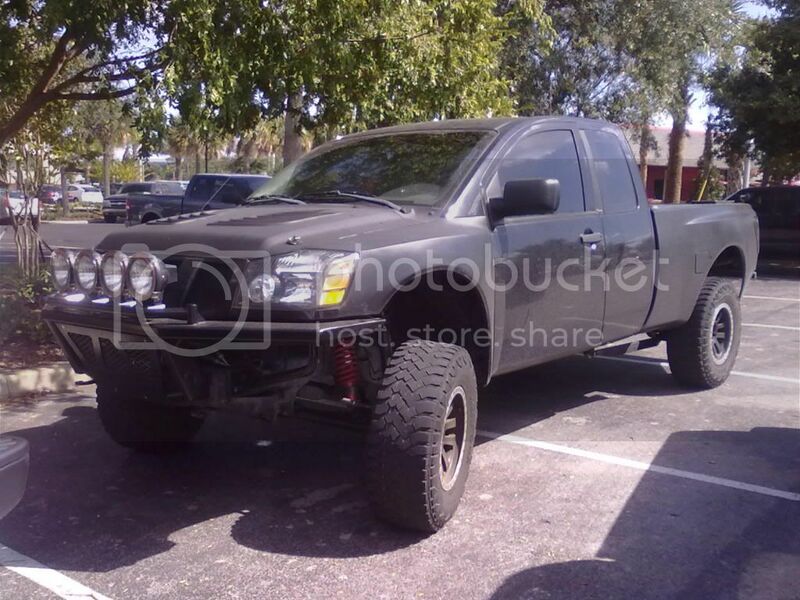 Its going to be in Ocala National Forest for a camping/wheeling/bbq. We try to have a good mixture of meet& greets then wheelin trips. This time around its wheeling, but you guys are more than welcome to come hang, eat some food. If I can get my hubby to come, maybe we'll bring both. That sounds fun! Not sure about camping because of work, but I may drive up for the day. Do you have any more info about this weekend? Where should we look for you guys if we drive up? Yeah, the one on the 21st is the one I'm looking for info on. But I might swing by the All FL Meet if I get off work early tomorrow. Sorry about that Juno, i havent updated the news on the meet. It was canned in favor of a meet in Orlando on Dec. 4th due to holidays getting in the way. Now since i will be going to Basic training for the US. Army January 31st, to begin my military career. If you want updates makes sure to check out clubxterra.org as most of our club dealings are done through there. No problem! We'll try to make it out on the 4th!